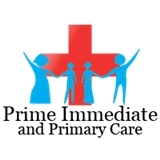 Prime Immediate & Primary Care (Naperville) - Book Appointment Online! Prime Immediate and Primary Care is located conveniently to serve Naperville, Batavia, Aurora, Oswego, North Aurora, Winfield and surrounding areas, meeting the broad range of medical services for adult and pediatric immediate care needs. Our walk-in clinic in Naperville is open six days a week . We understand you want the best medical care without the wait, and Prime Immediate and Primary Care delivers it promptly. At our walk-in clinic our Board Certified Physicians treat patients of all ages. Unlike many of our urgent clinic competitors, there is always a board certified physician working in our medical offices. Our doctors see you in a timely fashion, with care and compassion, but with no appointment necessary. Great doctor. So easy to make appt online. The best.